(Phys.org) —Nearly 100 years since Albert Einstein developed general relativity, the theory has passed its toughest test yet in explaining the properties of observable Universe. The most precise measurements to date of the strength of gravitational interactions between distant galaxies show perfect consistency with general relativity's predictions. The results will be presented by Dr Lado Samushia at the National Astronomy Meeting 2014 in Portsmouth on Wednesday 25 June. Using the observed distortions in galaxy positions, the team were able to measure the strength of gravity with a precision of 6 per cent, the strongest constraint of its kind as yet. The measurements turned out to be perfectly consistent with the predictions of Einstein's general relativity theory. "Gravity is the main driving force behind the growth of structure in the Universe. According to general relativity, gravity is a manifestation of the space-time curvature – massive objects curve the space-time around them, which affects the movement of other objects around them. It's a very elegant theory that has been successful in explaining the outcomes of many experiments, however it is not the only theory of gravity," explained Samushia. "Theoretical physicists have proposed many alternative theories and modifications of general relativity and the challenge for observational physicists is to test the alternative theories with ever increasing precision." Each point on the left panel represents a galaxy, while a right panel is an actually image of one of the patches of the sky observed by SDSS. Credit: SDSS. More information: The research has been published in Samushia et al, "The Clustering of Galaxies in the SDSS-III Baryon Oscillation Spectroscopic Survey (BOSS): measuring growth rate and geometry", Monthly Notices of the Royal Astronomical Societyvol. 439, p. 3504, 2014. A preprint of the paper is available. If gravity is just a manifestation of the space time curvature and not a force, why do we have to include/combine it with quantum field theory to produce a general theory of 'everything'? Cant the gravitational effects we observe in the universe be explaind only by using the standard model? Again, im just a curious uneducated noob. @ type-Skippy. Hello! back you too Cher. Since you are new you probably won't know that I can't answer your question too good no. But I can tell you real good to be careful who you listen to when the smart-Skippys start answering. That's because there are a lot of not-smart-Skippys around here who like to use new guys to pretend to be smart on. Usually they are easy to tell apart because the not-smart-Skippys will usually have something about the mainline scientists got it all wrong and are a bunch of idiots and only the no-name interweb not-smart-Skippy really knows what the truth is. The smart-Skippys will be the ones helping to explain how something works. The not-smart-Skippys don't do that, all they do is say everything is wrong. Oh yeah, I almost forget this. If you run across a Skippy with a weird name that sounds like he is smart it might be the Socratic-Zephir-Skippy, he's pretty smart but he also bat doo doo crazy, but he is harmless and nice most of the time. TypeA1: You have asked a great question. Welcome aboard. This is not one of my stronger areas so I will be watching the answers carefully. However, let me lay out some of the issues I see that seem to be open areas of discussion for integration of the SM and GR. 1) The gravitational magnitude problem. Why is the force of gravity so much less than that of the other forces (strong, em, weak)? 2) The singularity problem. At small distances, high energies, strong fields, we can run into singularities. The most common for GR is a black hole. What happens to QM when you are in the singularity of a BH? This is also an issue at the event horizon. 3) Attempts to interpret GR in any way at QM distances and forces tend to cause discontinuities that render the solutions orders of magnitude off. 4) Gravitons. 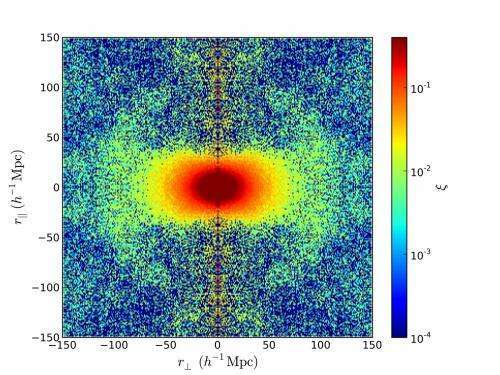 If you look at GR from a field theory, it predicts gravitational waves and gravitons. While those have not been found, they are being looked for. Thanks alot for your answers! which already contains the violations of general relativity (dark energy and dark matter) in its parameters. No, that's complete rubbish. A cosmological constant is just fine in GR and it doesn't care what matter you put in, dark or otherwise. These do not violate GR. It does not show GR is violated across the universe. And it's 6% precision, not agreement. Do you always miss the blatantly obvious IMP? Maybe Ira can help you...he has google. Well I tried to help but made the mess of it me. IMP-Skippy don't need my help no but you could use his some most of the times. He knows the scientist stuffs and you get what you think you know about the scientist stuffs mixed up. But you are right with the one thing, the google-Skippys can help you if you let them to. You claim to be able to read, which is nice. The second part of reading is comprehension...you need alot of work here. If you think IMP's comment is evidence that he "knows" the science stuffs then I would start with an "early reading" version so you don't just jump right into the deep end...baby steps Ira, baby steps. @ no-Skippy. Okayeei, apology accepted. I tried to explain before how the science words give me trouble sometimes even when I think I understand the idea of it. I will take your suggestion to me and take the easy words first but I already been doing that all along me. But thanks anyway for suggesting that in case I wasn't already doing it. P.S. for you no-Skippy. Have you gone to the scientist school or you just pick this stuff up here at the physorg lke me? Maybe you know another good place where all the really smart-Skippys aren't so stupid like you think they are here. And not that place where the Really-Skippy make me the misere at. No, that's complete and utter rubbish. GR talks about mass, momentum and energy. Dark matter was found because the normal matter did not account for the mass. We have no way of detecting mass alone independent of GR so we have no way to say it is violated. Dark matter produces lenses like normal matter. It was my point too. No, it's a completely different statement. It was my point too. The "agreement" is a conclusion of article, which claims: "The measurements turned out to be perfectly consistent with the predictions of Einstein's general relativity theory" Well, "perfect" means six percent deviation here. Wrong as always. 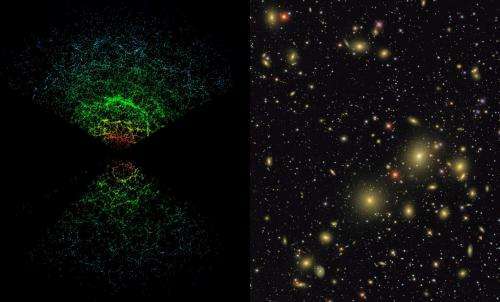 The combination of out understanding of the make up of galaxies combined with GR failed to account for galaxy dynamics. Do we know which one is wrong? No, so you cannot claim GR failed or that it is violated. No Ira. If I went to a scientist school I would only know what they had been taught, fortunately I am not bound by the same constraints which limit their intellectual growth...in other words I haven't had this crap driven in so hard that when i saw it was wrong I couldn't let it go. Well if you didn't learn what they learn how do you know what you didn't learn is wrong? What I mean is if you didn't go to the science school and learn the science then where you learn this stuff you don't know so you know it is wrong? You learn it here at the physorg like me? Because if you didn't learn it any where that means you just making it up as you go. Certain aspects of Special and General relativity have never been tested in a context which wasn't circularly defined, and cannot be really until we get significantly faster space craft. The only object test for relativity of mass i for a human to be on a relativistic ship, preferably moving orthogonal to the ecliptic, and look back at the solar system and watch the orbits of planets. Relativity of time and relativity of mass should produce a paradox where the observer sees planets moving at speeds suggestive of the mass of the entire universe having been changed by their simple propulsion system. The apparent "year" or "day" of the objects in the solar system would be compared to an atomic clock on-board the ship, as well as transmissions from atomic clocks on the Earth, in an attempt to figure out what really is happening. It needs to be tested while accelerating (positive and negative) uniformly, while "coasting" at relativistic speed, and finally while accelerating non-uniformly. Pay no mind to Aunt Ira. He ate lead paint chips as a child. Gravity has its place, but physicists treat it as the driving force of thier theories. They don't observe with their eyes. So they create funny words like "dark matter/energy" and program computers to run simulations to "fit" gravitational forces. I could program a computer to simulate that the universe is nothing more than a giant turd. But we all know thats incorrect. Electric circuits play a major role in the evolution of the universe, but unfortunately for us, we have to sit on the sidelines and watch the gravity circuis show. Delirious Do you believe stars lit by electric discharge and are not powered by fusion? But why are you here Ira? You claim to be a "lone operator" and you claim to not understand most of the articles here so what is the enjoyment you get from Physorg? @ no-Skippy Some of this space stuffs is interesting. The parts I don't understand sometimes I understand better after one of the smart Skippys explains for me. What the "lone operator" means is I don't know any of these other peoples and what I do is what I do all by my self. The reason I ask you about the science school is because you seem to not like the gravity and things work good without it but never explain what is doing what the real scientist-Skippys think is getting done by the gravity. Sort of like most of the other peoples who postum here with odd ideas just for attracting attention from the rest of the class without really thinking what you say is the right thing. If that is wrong then explain what makes things work like do without the gravity. Like the sun and planets that go around it. @ no-Skippy. Thanks for trying but that is not much help for me no. I don't understand what you mean if the gravity do not hold everything together like the scientist-Skippys say. I don't think that the article is saying that. So I think you read that part of the article wrong. That shouldn't bother you none because I didn't go to the scientist school either and I get them wrong too sometimes me. Figuring out surprises is what the scientist-Skippys do for their living. If they were doing that part wrong then why would they still get paid every two weeks or every month without getting in trouble for not doing their figuring right? How they keeping their job if it is all wrong what they do? If I don't figure out real soon the surprise the engine has for ol Ira my boss going to fire me fast, specially if I let something big get broke bad. Maybe you should go to their boss and tell them how you can do it better without having to figure out surprises. Whyd: The full paper is available on the server. It is not an easy read though. I think it might have been a tough read for the writer of this summary. In the summary, (as you point out), they talk about 6% precision for gravity. In the paper they talk about 6% accuracy of an expansion parameter that measures the log growth rate of structures. Those are two different things and the 6% accuracy has to do with a comparison of this set of measurements with GR. The important thing I took away from my read is that the measured values support GR, but also leave the door open to a modified theory where gravity is slightly lower than GR on these scales. Thanks, Thermo. Inasmuch as I am busy in the summer, making stuff and doing art shows and taking care of my small "park", I probably won't get to it.